Masters Graduate from UNC Charlotte. 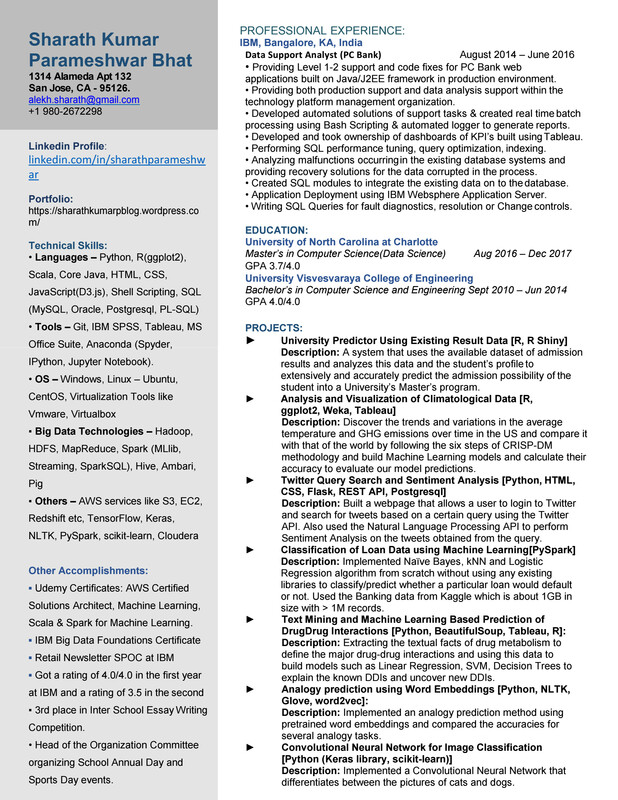 Specialized in Data Analytics and Machine Learning.Worked at IBM as a Data Support Analyst for 2 years. Analysis and Visualization of Climatological Data by Sharath B. Classification of Loan Data using Machine Learning by Sharath B. Text Mining and Machine Learning Based Prediction of DDIs by Sharath B.